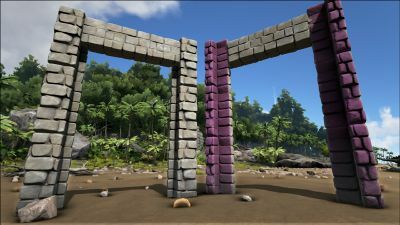 A large brick-and-mortar gateway that can be used with a Gate to keep most dinosaurs in or out. The Stone Dinosaur Gateway is designed to house the Reinforced Dinosaur Gate. Together, they provide protection against the outside world and keep dinosaurs contained inside of an area. 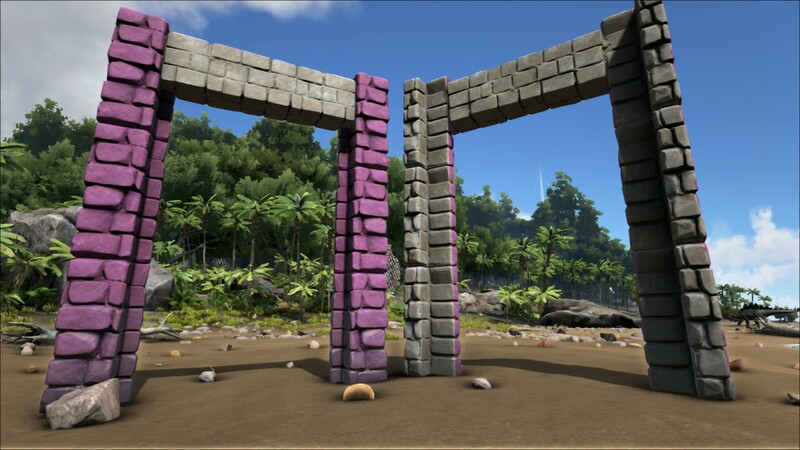 A Stone Dinosaur Gateway can be placed directly on the ground, without the need of first placing a Fence/Standard foundation. While it does not snap-fit to foundations or pre-existing walls, it will snap to fence foundations. A Gate can be placed in the hole and locked to provide a way to restrict access to the area while still allowing you and your dinosaurs a way through. These creatures are too large to fit through a Stone Dinosaur Gateway. 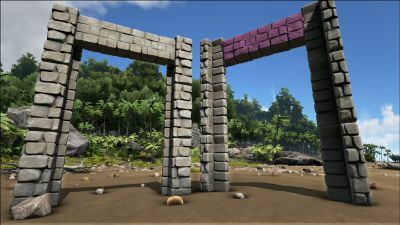 Actually, a Woolly Rhino fits through this gateway (as well as the wooden one), but it does not fit if it's equipped with a gate. 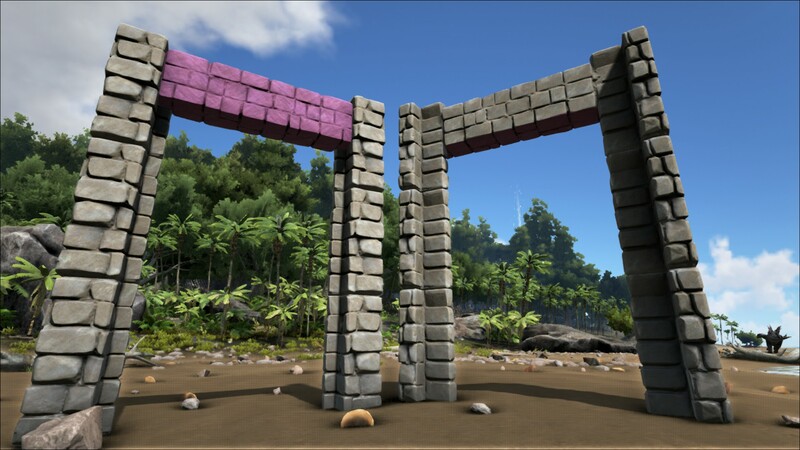 However, it fits through a Metal Dinosaur Gateway with gate. The Gateway is 4 Wall Panels high and 2 Wall Panels wide. It fits exactly into a 2x4 hole. 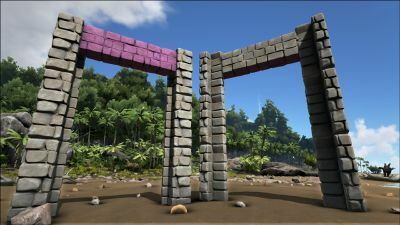 The Stone Dinosaur Gateway and Behemoth Stone Dinosaur Gateway share the same paint regions. This page was last edited on 30 March 2019, at 11:39.